The verb look in English can be both a linking verb and a transitive verb. Since this is not an English lesson, I find it unnecessary to explain the difference, but at least you know that it can be expressed or translated in more than one way. In this note, I would like to tackle its role as a linking verb. It is a linking verb when it is followed by an adjective as in …look delicious, …look easy, and …look good. It is also a linking verb when it is followed by a noun with the help of the preposition “like” as in …look like a princess, …look like a dad, … look like a teacher. How do we say it in Korean? 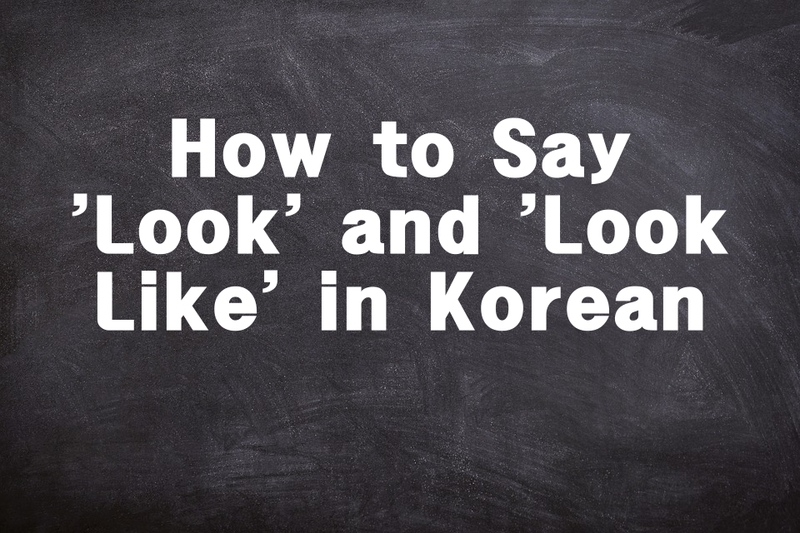 For look + adjective, we follow the pattern “verb stem + 아/어/여 보이다”. You might wonder, why verb stem if it’s adjective? Remember, adjectives in English are state verbs in Korean so that explains why. Here are some examples. Oppa, don't buy it. It looks expensive. What's wrong? You look tired. Although the literal translation of “look like + noun” is “noun처럼 보이다”, another pattern is more commonly used which is “noun 같다”. 넌 공주처럼 보여. 넌 공주 같아. 네 얼굴 달처럼 보인다. 네 얼굴 달 같아요. Your face looks like the moon. 그 원숭이가 사람처럼 보여요. 그 원숭이가 사람 같아요. The monkey looks like a person/human.